We are planning, organizing and realizing personalised video and photo productions on your bike or car press launch event. 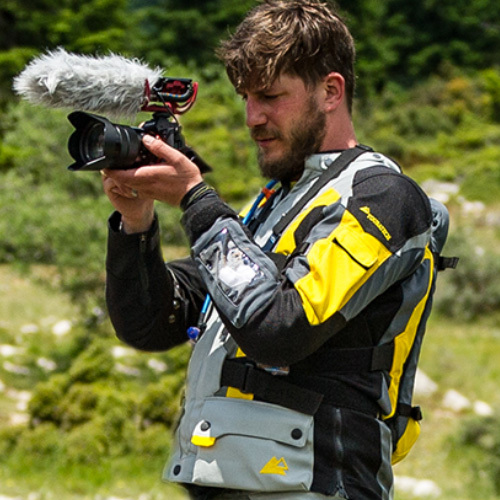 Your journalists will not only have a great riding/driving experience, but also get their personal video and photo footage for their covarage. Our basic setup consists of two videographers with their own camera gear and an up to date editing unit at your event location. As speed and flexibility is an important point, we will create a specific concept for the mobility of the media crew and offer tailored solutions for the specific needs of your event, from transportation to tracking vehicles. When it comes to fast and efficient workflows for your press launch event, don’t hesitate to get in touch with us. We will plan, organize and realize the best media coverage concept for your event, regardless of whether we’re a plug and play part of your existing media crew or a stand alone unit. With freelancers from our network, we can also provide professional photographers for your event. *Same Day Service can only be guaranteed under specific conditions in planning, organizing and execution.